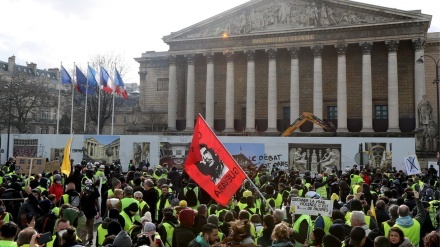 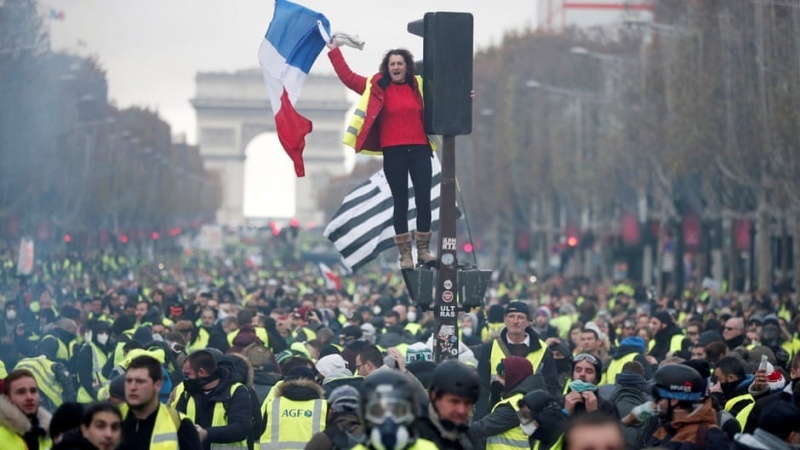 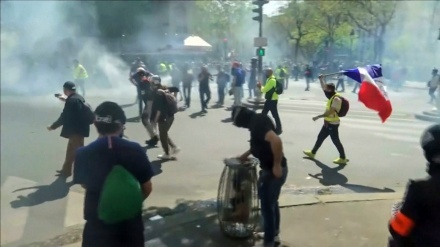 Paris saw its worst unrest in a decade on Saturday when thousands of masked protesters fought running battles with police, torched cars, set fires to banks and houses, and burned makeshift barricades on the fringes of demonstrations against fuel tax. 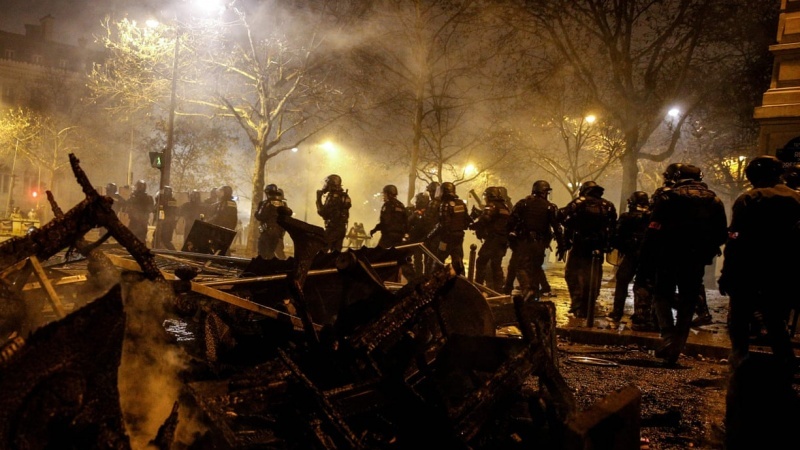 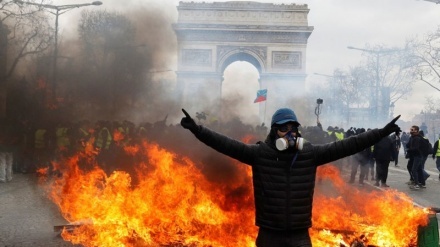 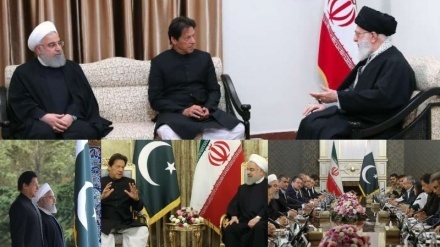 Iran Press / Europe: Near the Arc de Triomphe, one of Paris’s best-known monuments, masked men burned barricades, set fire to buildings, smashed fences and torched luxury cars on some of the most expensive streets in the city as riot police fired teargas and water cannon. 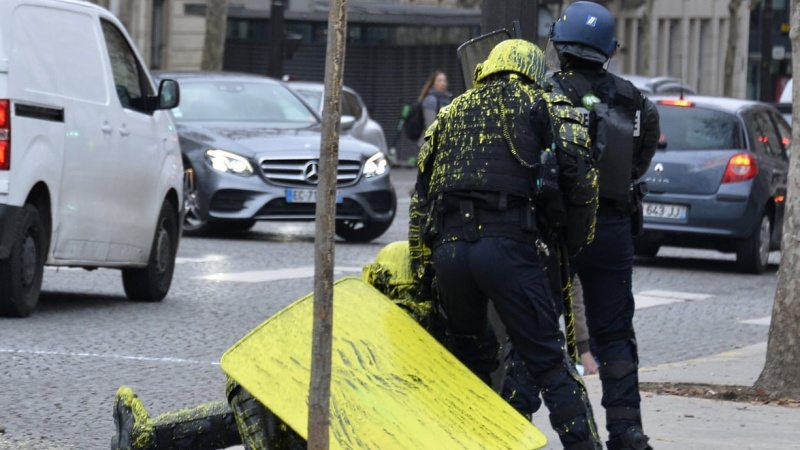 Anti-Macron graffiti was scrawled over the Arc de Triomphe near the tomb of the unknown soldier and protesters burst into the monument smashing up its lower floors before climbing on to the roof, according to a report by The Guardian.